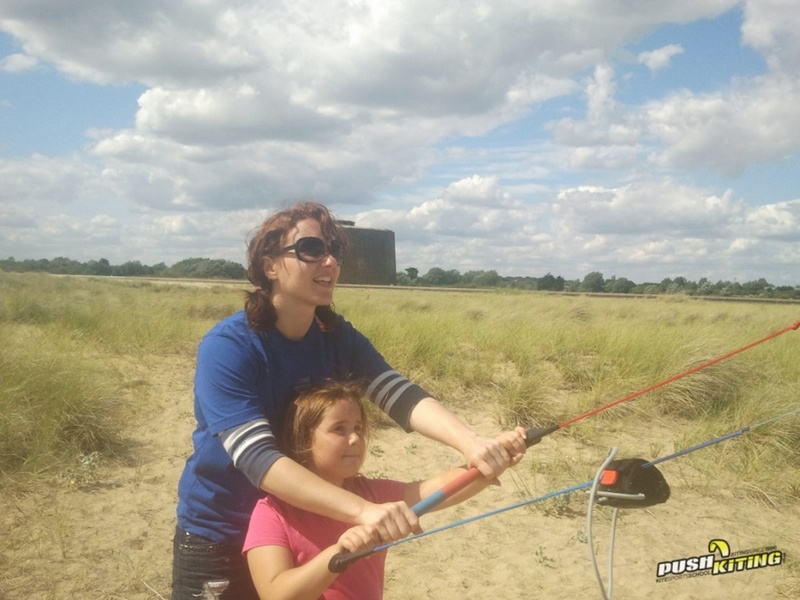 Power Kite lessons can be the first stage to learning any of the kite sports from kite surfing, snow kiting, kite land boarding and more, if it’s got wheels you can probably tow it with a kite, and if it hasn’t you’ll probably be able to give it a good go anyway! 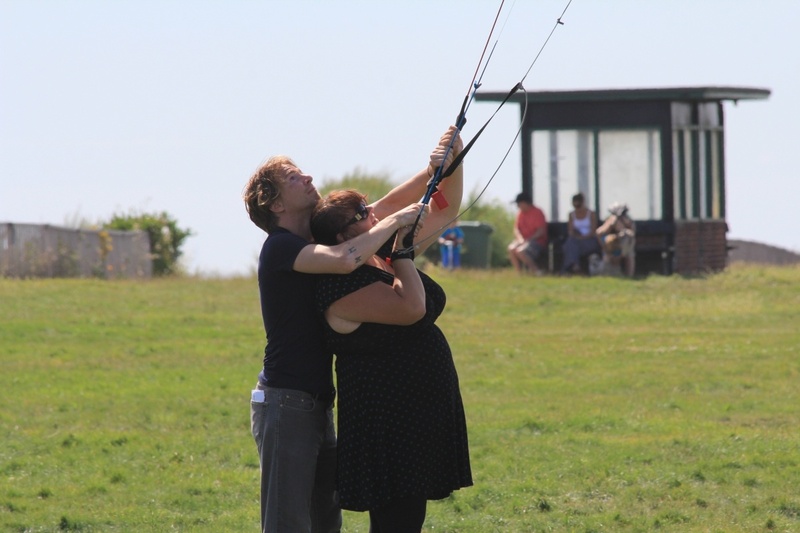 You’ll be spending up to 6 hours with power kites in a group up to 6 people/instructor, however you can book privately too. E-mail Dave or call us on 07736052967 to book a slot! Flexibility is our aim, we can cater for all you needs and all costs shown include the hire of all equipment required. 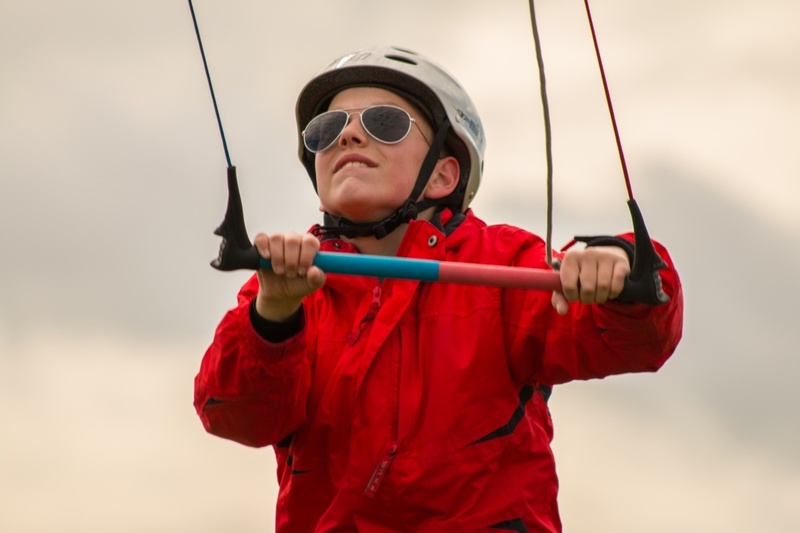 All lessons are taught by a fully qualified BKSA kite sports instructor. Who’s the 1 day group power kite lesson for? 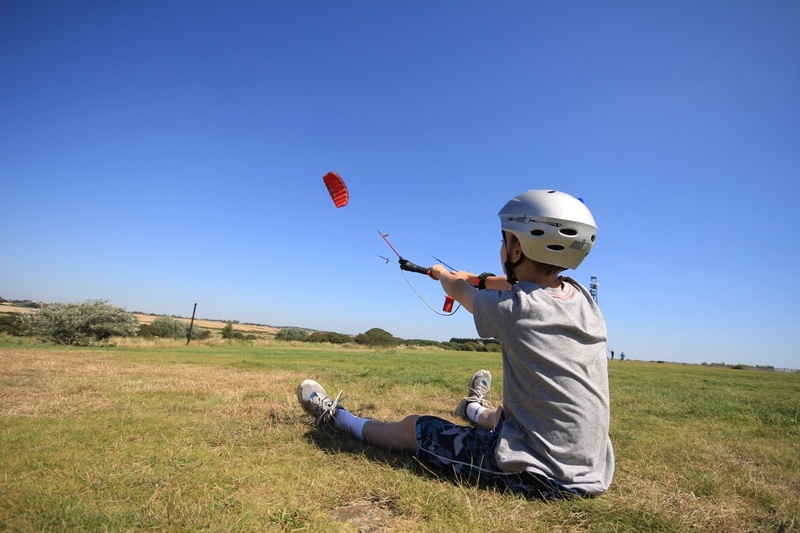 You can participate in a power kite course with very little sporting prowess and fitness level, we can cater for almost any body including a range of activities for disabled sports enthusiasts, depending on a disability we can alter the type of activity. 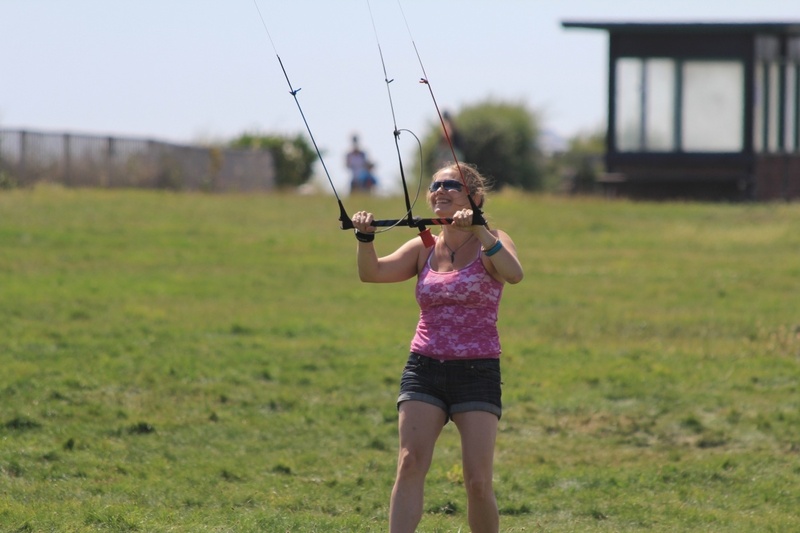 This is also a great course for anyone who has some kiting equipment but doesn’t know the basics how to set it up, or maybe you’ve not got the hang of flying the kite yet and you’d like to be guided without thinking about a kite board or kite buggy whilst you get to grips with the equipment. 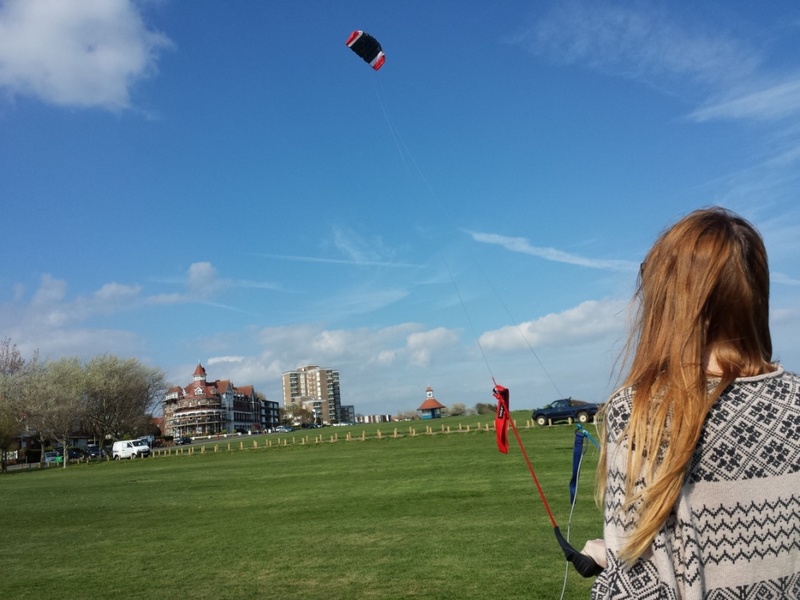 The more time you spend on a kite at the start the better you’ll progress to any of the other kite sports open to you. 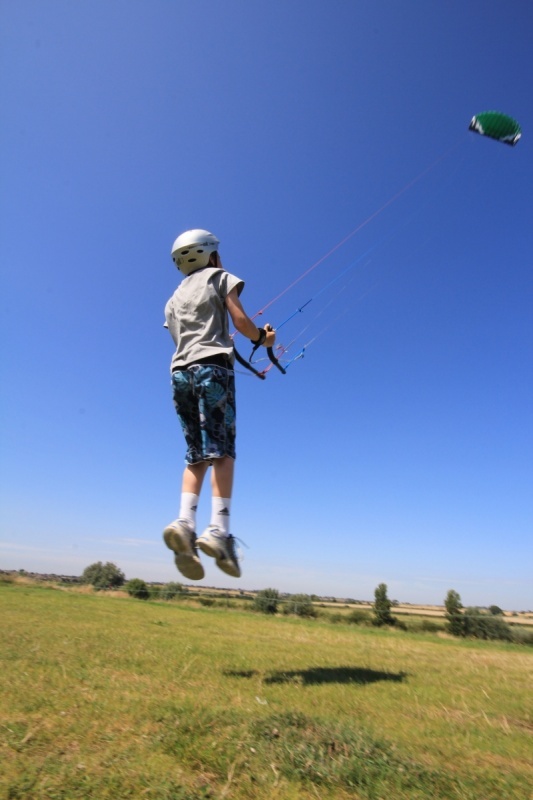 As with all our courses from beginner you’ll get the safety, theory and basic kite flying at the start of the lesson, great tuition showing you how to firstly keep the kite in the sky then move on to mastering the finer skills needed to control the kite absolutely. 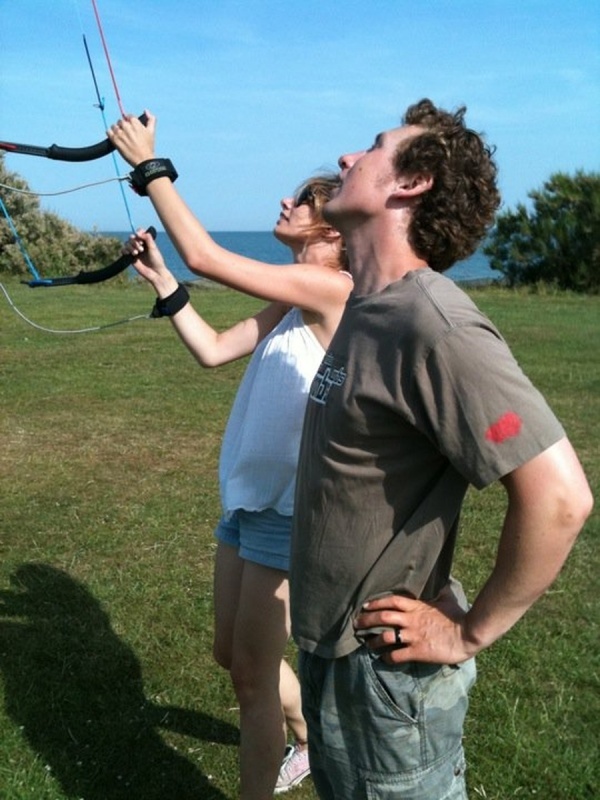 Then we’ll step up in either kite size or complexity depending on the targets of the group at hand, we can cater for people who want to fly kites but not be overwhelmed by power or the power hungry extreme sporting types of you out there. We have a waiting list for individuals that would like to do a group course that do not have 2 others to join them. However we can run 1 to 1 or 2 to 1 lessons as an alternative. Up to 6 hour course. This is a Land based course. We should be made aware of any injuries or disabilities to cater for the course prior to arrival. Book 3 or more people you could get a 5% discount off your course Quote “powerday5%” when booking! Hen, stag, team building exercises can all be run as parties in essex phone for more information or look in our team building /group activities page. It’s fair to say we wouldn’t be where we are today without your continued support and for this we’re truly grateful. We’d love you to continue spreading the word via your social network channels using the buttons below.